Barrie Home Inspections provides their customers with a guaranteed home inspection. If for any reason the customer is not happy their money is cheerfully refunded. Our business is based on providing exceptional service to our customers and we are willing to stand behind that statement by offering this guarantee. You should always inspect before you buy a house or condominium, even if it is new. It is one of the most significant purchases of your life — one that you will most likely be paying for over the next 25 years. Before you buy: insist on an inspection clause in your contract stipulate the right to select an inspector of your choosing ensure your inspector is licensed and certified by a professional organization After a pre-purchase inspection, the Barrie House Inspector will provide you with a non-judgmental, unbiased report showing the current visible condition of the dwelling. We will help you make an informed decision on the purchase and will identify, to the degree possible, defects that represent a significant repair cost or those items that may present a danger to the occupants of the home. Are you buying in a tight market? We can provide a condensed “Open-House” verbal walk-though inspection. This involves walking through the dwelling and verbally identifying the more critical items observed. Take the worry out of the purchase. 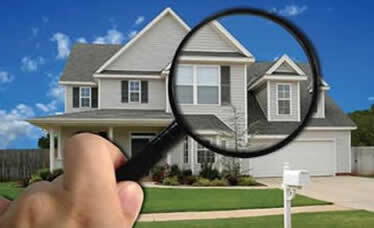 Hire the Barrie Home inspector to look after your needs and to provide an inspection you can count on. The “Barrie Home Inspector” also offers our “Pricing Policy” which permits our customers to know exactly what our inspection fee is prior to contacting us.